There is a shortage of good weekend breakfast options in St. Louis. That’s started to change with restaurants like Vista, Sardella, and Reeds opening for brunch, along with breakfast-specific spots like The Clover and The Bee and Yolklore, but judging by the wait times—and constantly complaining to me, as if I have the power to make places open earlier—more are needed. If you haven’t had their biscuits before, you haven’t really lived. We took a family vote this past Thanksgiving and it was unanimous that these are the best in town (don’t @ me), made with house rendered lard and local buttermilk. You can get them hot and ready for dinner every Tuesday night with their roasted chicken or on Thursday evening’s smoke-outs. Shop veterans also know you can buy them frozen (almost) any day. So, combine these monster, fluffy buttermilk biscuits with a gravy made out of the shop’s moderately famous breakfast sausage, and you have yourself a dish that will warm your bitter, breakfast craving soul. Tell the family that you’re just running out to get gas and eat alone in peace. 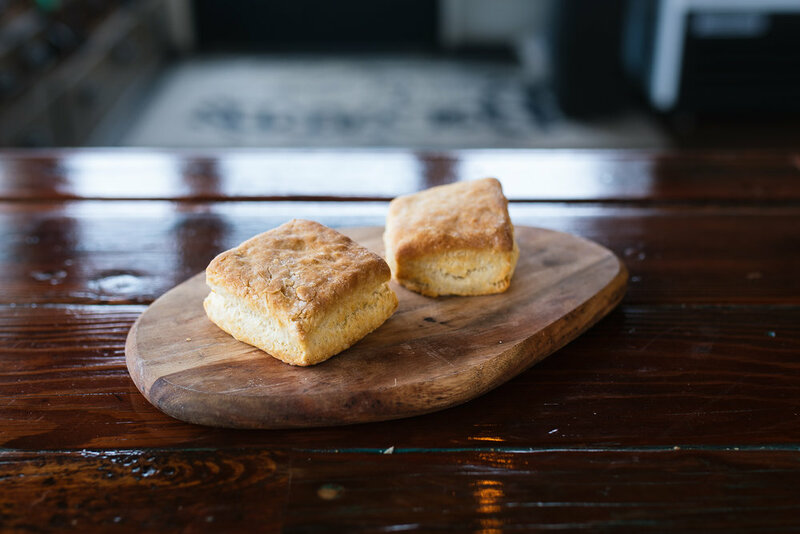 Along with the B&G, they’ll also be offering a weekly biscuit sandwich, ranging from your basic egg/ham/cheese to more exotic creations, like a chorizo patty with cheddar and scallions, or BBQ pork with apple butter. With the culinary minds of Chris Bolyard (Sidney Street Cafe), Alex Welsch (Porter Road Butcher), and Bob Komanetsky (Completely Sauced food truck), some special breakfast sammies are inevitable. Also, while you’re here: if you haven’t made Bolyard’s part of your lunch sandwich rotation, you’re a fool.